Cremation experts share the latest news, trends, and creative advice for industry professionals. Register or log in to subscribe and stay engaged with all things cremation. Happy New Year from CANA! 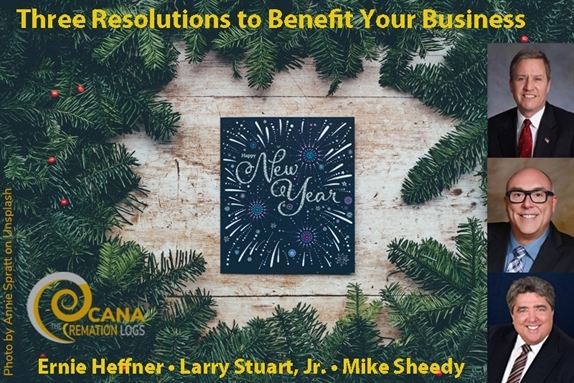 As we lay 2017 to rest and get used to writing 2018 on our paperwork, we asked a few CANA members what resolutions they have for 2018 and each said the same thing: I don't believe in New Year's Resolutions. Instead, they strive to improve the performance and service of their company throughout the year by supporting their staff's professional development, by protecting the safety and well-being of their operators and their image, and by caring for themselves and their colleagues the same way they care for our communities everyday. These goals aren't something we can do in one day, but something we can continue to strive for throughout the year. And there's a hand, my trusty friend! We look forward to seeing all that you accomplish in 2018 and continuing our support of our members and the industry throughout the year. I don’t do New Year’s resolutions. When I’m motivated over a topic, I make a commitment and set timelines for accountability to follow through, timelines for myself included. These timelines may or may not coincide with January 1st. As much as I’m flattered to be asked to contribute to CANA’s Cremation Logs and make recommendations for staff training in the new year, I’m not even sure I know what “improving staff training” means. I also flinch at the word “training” – I think we train dogs and we educate people. Heck, for some employers, any training would be perceived as an improvement. My guiding principle, from the book Good to Great, is that you get “right people on the bus and wrong people off the bus.” If the wrong people snuck on the bus, either by acquisition of a firm, marriage to a relative or simply a wrong hire, then no amount of training will change the person. Instead, you need to do some top-grading and weed out the low performers. Great people in end-of-life care sincerely want to do all they can for a family in grief. Every year they want to enhance their skills to serve. They want to be the very best informed and most knowledgeable caregiver they can possibly be. If those are not obvious traits, than the wrong person is on the bus! Top-grading is probably an excellent resolution. The right staff will rise to the top and the opportunities for improvement will be natural. The problem is, it may start with the owner – it’s up to management to decide what talents they need and what skills they’ll teach or have others teach for them by sending staff to appropriate seminars and continuing education. In the end, the words don’t matter if there is no downside to refusing to be enlightened – make sure the right people are on the bus and get the others off. Not just January 1st, make a point of doing this continuously. Generally, I think New Year's resolutions are ridiculous. We try to solve all of our perceived problems at the stroke of midnight only to fail miserably, usually before Valentine's Day. The key to true success is to declare broad-based, realistic resolutions and work on them all year long. Baby steps, if you will. For instance, a cremationist could resolve to focus on improving three important facets of cremation operations: safety, the environment, and the public’s perception of a crematory. So, for 2018, repeat after me: "I resolve to be an even better cremationist by working to improve Operational Safety, Environmental Impact, and Public Perception regarding cremation. Working on these three goals in progressive steps will be much easier to accomplish than resolving to “never leave the crematory during the cremation,” because we know that there will be times that, sooner or later, this will happen. Then, you will feel defeated and risk scrapping the whole thing. Instead, implement the following procedures throughout the new year. Here are a few examples of things that will help to succeed with your New Year’s resolution. Improve Operational Safety: Don’t bypass or short-cut the cool-down step of the process. If your equipment is meant to cool-down between cremations (and most are) you should never bypass this to rush the process. Typically, operating procedures call for a cool down period between cremations to approximately 600ºF before the chambers can be safely swept out. Waiting until the unit is cool to perform the next cremation also helps prevent premature ignition as you load the next case — which can be extremely dangerous. Waiting can also help to prevent a “run away” cremation; the cremation is better controlled with less heat at the start, and the likelihood of overheating is decreased. And remember, regardless of the unit, operators must always wear personal protective equipment to safeguard against harm from the heat. Reduce Environmental Impact: No matter how new and advanced your equipment is, failure to operate it properly can and will produce hazardous emissions and harm our environment. Scrutinize. Examining the materials included with the remains assures operator safety and reduces the volume of pollutants released into the atmosphere. Often friends and loved ones will place objects in the casket as a token of remembrance or as a personal gesture. 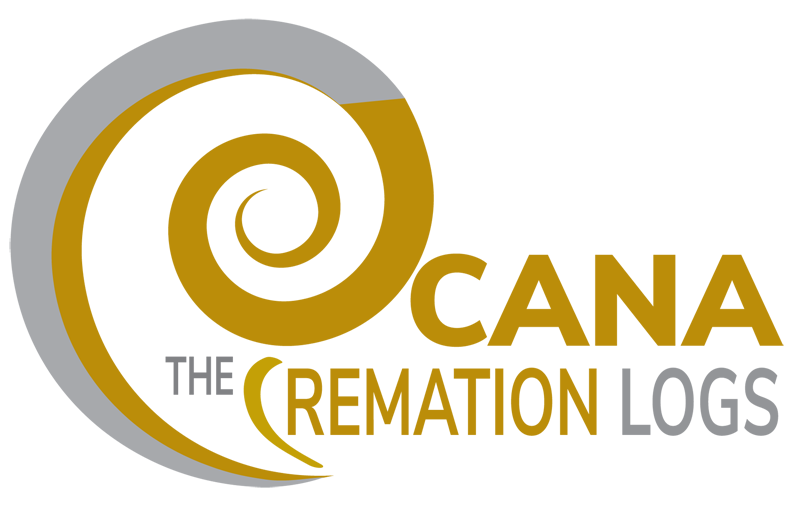 Items like stuffed animals, picture frames, bullets, plastics, etc., are not meant to be cremated and could damage the unit, cause unnecessary toxic pollution, or even compromise the safety of the operator. NOTE: In some parts of North America, the operator is not legally allowed to open the casket prior to cremation due to regulatory laws. Confirm compliance with all relevant laws and take reasonable action to ensure the safety of yourself and your community. Any new policy implemented in effort to improve operator safety and improve environmental impact will help to paint cremation in a better light with the public. News stories that feature cremation fires or YouTube videos that show dark billowing smoke being emitted from a cremator stack do more harm than just to the environment and the safety of the operator. They tarnish our credibility and creates a negative perception with the public. Improve Public Perception: The easiest resolution is to assure that your facility is always clean and tidy. As cremation becomes even more popular, so will the public’s desire to visit crematories before deciding on which firm to use, which will increase your visitation and witnessed cremation services. Open and clean facilities with an engaged and knowledgeable staff are going to win every time. Clean your place daily. Wipe up any spills with a sanitary solution of 1:10 bleach and water as they happen. Sweep the floors and mop as appropriate. Dust off all surfaces on a regular basis. Treat your crematory like a funeral home is treated. It should be a showplace just as nice as any other room in your business. Resolve to get CANA Certified: Even if you are not an actual operator, the knowledge, information, and insight presented at a CANA Crematory Operations Certification class will not only improve the safety of your operation, our environment, and public perception, it will improve the service of funeral professionals toward their families. As a fellow cremation professional and so-called expert, I will join you in the resolution to implement strategies and programs to help increase the safety of the crematory operator, lessen the environmental impact of cremation, and to continue to educate the public with facts, science, and emotional realities, all in the hopes of improving their perception of what goes on inside a crematory. Happy New Year! Ours is a difficult job. We meet people at the worst moments of their lives and guide them through this period of initial hurt until their mother, child, grandfather, loved one is laid to rest. And then we say goodbye. They continue on their grief’s journey, we take the next call. Our journey stops, or never stops as the phone keeps ringing, without any satisfying conclusion. So in 2018, I want us all to make a New Year’s Resolution to take better care of ourselves. I need to take my own advice here. We are too often a profession in which we put others’ needs before our own. This work selects those who have so much to give and who are determined to carry on through terrible situations. We continually respond in a professional and dignified way to national tragedies, horrific accidents, or acts of violence and serve our communities while grieving ourselves while our own family awaits our return. We must take care of our mental and spiritual health and watch for warning signs in ourselves and our colleagues. We must know when it’s enough and when to reach out and ask for help. That may mean reaching out to a colleague for help with a difficult case, or for professional help to avoid or cope with a breakdown. Yes, was as death care providers can hurt too. Your network inside the profession, your social groups outside, your hobbies and passions, your family and friends all serve important functions to ground you in life when our career surrounds us is death. This year, let’s resolve to celebrate these groups, to take stock of our physical, mental and spiritual health, and to reach out to others when we need it or we feel they do. The CANA network is one of the most powerful benefits of attending a CANA event and membership with the association. CANA provides the space where cremation professionals can share important conversations with people who get you and your business. Consider connecting with CANA and other industry experts at the 2018 Cremation Symposium for topics that inspire innovative thinking. Not a member? 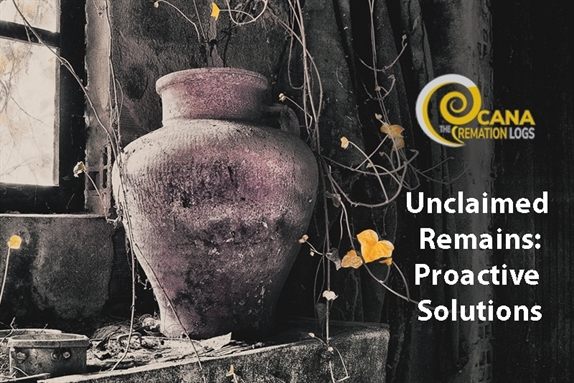 Join your business to access this article and all archives of The Cremationist plus advice, tools, techniques, and statistics to help you understand how to increase your cremation success -- only $470. Ernie Heffner shares 40+ years of professional funeral service. He has a diverse background in the operation of end-of-life care related enterprises including funeral homes, cemeteries, a monument company, 10 funeral business relocations and 5 new replacement facility constructions. Ernie has received national recognition and has been a featured speaker on numerous occasions for a variety of state and national industry organizations, related industry organizations as well as his local public speaking engagements for community education. 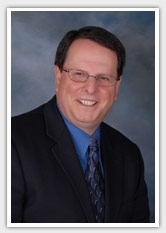 Larry Stuart is a graduate of Kent State University and is a past member of the Board of Directors of the Cremation Association of North America (CANA) as Supplier Liaison. Through his experience Larry has seen first-hand the negative impact that poor crematory maintenance and improper operating procedures can bring about. Larry has spoken at numerous industry events and has conducted crematory operator training classes across North America with a mission to advance the safety of cremation facilities and their employees and to more positively impact our community and our environment. Michael Sheedy has been a funeral director for over 20 years and currently serves as President of the Board of Directors for the Cremation Association of North America (CANA) and is a member of the Ottawa District Funeral Association. In his tenure with Pinecrest Remembrance Services, he has been part of the creation of Ontario’s first full service facility with onsite visitation and receptions. Five years ago we buried my grandmother, a deliciously bold woman who lived life on her own terms. I was her favorite, or so she said. I’m pretty sure it’s true. Everything that makes me weird (which I consider a blessing, by the way) came from my grandmother. I miss her smile, her warm hands that smelled of buttermilk biscuits, and her green beans that would leave a sheen of lard gloss on your lips for weeks. I had the honor of delivering her eulogy being the only professional speaker in the family. (Yes, Aunt Myrtle, it is a real job.) As I stood at the podium, trying to sum up this woman’s 88 years on earth in 25 minutes, I looked around and realized that this was all wrong. None of this was what she would have wanted. The setting wasn’t right. The music was all wrong. People were bored. I’m pretty sure even Granny had stopped listening hours ago. A stuffy room with plastic mauve flowers, green shag carpeting, and faded watercolor prints – well, it wasn’t my grandmother. She deserved something more than that. Something more to honor the fact that she was here. Something as unique as she was, to close out her chapter on earth. I found it ironic that we had spent a year planning my cousin Nadine’s wedding and a day planning my grandmother’s funeral. I had loved my grandmother for 47 years. Nadine’s marriage didn’t last six months. After Granny’s service, a group of us sat around the fire in the lobby of the hotel sharing stories that made us laugh and cry, stories about the woman we knew and the woman we would miss. I’m pretty sure Granny was there the entire time, laughing harder than any of us. At some point we stumbled into a conversation about how we wanted our own funerals to be. The typical kind of conversation that happens when death stops your normal routine and makes you face your own mortality. We all described our most important last wishes ranging from “nothing fancy,” to “please put me in this dress,” to “sprinkle me across the lake behind the mountain cabin and make sure it’s not windy that day so my ashes don’t go flying back into your face.” I made it quite clear that I wanted a big turnout, with lots of music (a roaming harpist would be nice) and some professional wailers, just to make sure everybody is certain of how much I will be missed. I want high drama. Standing room only, heavy hors d’oeuvres, and please show clips from my best speeches. Make sure they give me a standing ovation, and you can probably sell some of my books in the back. Hey, what can I say? I’m a motivational speaker. It’s what we do. My ability to make people laugh, inspire them, move them, teach them, change their perspective and heal their heart, has never been about the points I teach, but the stories I tell. My entire career and every amazing door that has opened, was opened because of my ability to tell a good story. No amount of data or information can impact on an emotional level like a story can. Master that skill and you can master any job. As I sat there listening to the stories, I saw how passionate people were about how they wanted to be ushered out of this world – how they wanted their story to end. Each story was as unique as its author. The funeral home did everything they said they would do for my granny. It was a perfectly nice service. They did all the right things. And yet, I’m pretty sure that not one person in that room will seek them out in the future. Why? Because the funeral home told the wrong story. Hello CANA. Kelly Swanson here. I’m a motivational speaker and a comedian, which means I tell you that you can do anything and then I tell you I’m just kidding. I’m delighted and honored to be spending time with you at your 2018 Symposium as your keynote speaker and strategic storytelling expert. I’m even more delighted that I get this opportunity today to say a few words about a subject I have been studying my whole life – storytelling. There’s no question about it, no matter what our industry, we are all fighting for business in a crowded market – to get customers and keep them, to get our employees to do more with less and be happier doing it, to convince our buyer of a need they don’t realize they have, to be stronger leaders crafting a lasting legacy, and to keep our business relevant in the face of constant change and uncertainty. And, in your case, trying to make a lasting impression when often you are the last thing on their mind. Wow. No wonder we’re stressed. I’ve faced these issues in my own business and so have hundreds of other audiences I’ve visited over the years. All of these issues have one thing in common – influencing people. Yep. Getting people to do what we want them to do. No matter how much the playground changes, the game hasn’t. Our business success is in direct correlation to how well we influence people. The ability to articulate your story or that of your company is crucial to almost every phase of enterprise management. It works all along the business food chain. A great salesperson knows how to tell a story in which the product is the hero. A successful line manager can rally the team to extraordinary efforts through a story that shows how short-term sacrifice leads to long-term success. An effective CEO uses an emotional narrative about the company’s mission to attract investors and partners, to set lofty goals, and to inspire employees. Sometimes a well-crafted story can even transform a seemingly hopeless situation into an unexpected triumph. The way I see it, we are all sales people. Like it or not, we are trying to influence people all day long – whether it’s to get someone to date us, hire us, do business with us, trust us, give money to us, or simply getting our kid to clean up his room. We’re all in the business of persuasion. Every person who works in your company has the ability and opportunity to influence someone else – to affect the brand, the mood, and the culture of the business. Many of us already understand that. But where some of us miss the boat, is the next step…understanding that influence is emotional. I’ll explain the science behind all of this to you when I get there, so let’s skip right to the thing you need to know most: If influence is like sales, then the cardinal rule of sales applies – that people buy from people they like, trust, believe, and feel like they know. Like. Trust. Believe. Know. Take a look at those words. Those words have nothing to do with what you make people think and everything to do with how you make people feel – about you, your brand, and themselves. People buy based on emotion but many of us don’t get there. We stay on the surface. We miss that deeper opportunity to go beyond communicating to connecting. Authentic connection is the key strategy in business today. No matter what you’re selling, where you’re selling it, or how you’re getting the message out – giving them the facts alone doesn’t work. It’s the reason why some win and some lose without ever understanding why. I’ve been polling people in every audience where I speak. I just spoke for a college admissions group so I polled parents and students who’ve been on recent college tours. My goal? To find out why they chose the one they chose. I’ve polled buyers of healthcare, insurance, beauty products, financial planners, attorneys – you name it – and while they were all looking for something different, their reason for choosing who they did were consistently the same. They chose the one they connected with emotionally. As soon as I found out I would be speaking for you, I conducted another survey with my social media groups about you: your businesses and the services they’d experienced there. I gathered their stories and studied the reasons some were happy and some weren’t. Again – it was all about connection. That’s what we’re going to talk about when I come visit. I’m going to share with you the best (and perhaps only) tool that will connect with anybody you want to influence – STORY. Many businesses have already figured out the value of strategic storytelling, or at least they think they do. But they are still not connecting with their buyer. Why? First, because they don’t really know what a story is – how to craft it and how to use the tool to get a desired effect. They’re basically just telling stories because someone told them they should. Many people talk about storytelling, but few can really teach it. Second, many businesses are telling the wrong story or, at the very least, an unfinished story. You may think it’s just about telling the world your story. But it’s not. There are actually three stories you should be telling. That’s enough for you to chew on today. If you understand why connection matters over communication, you’ve got enough to think about. The next step is how to use story to do it. We’ll go deeper into it later – my six secrets to connecting and my story formula to help you craft stories that convince and persuade – at CANA’s 2018 Cremation Symposium. Just remember this: No matter how technologically advanced we get, or how much the playground changes and shifts quickly under our feet, the truth still remains the same – this is a people business. It’s about relationships. It’s about creating authentic connections. Focus on that, and the rest will fall into place. Want to read some more articles or continue the conversation? Find me on LinkedIn. I can’t wait to meet you at convention and swap stories. Buckle up, because it’s going to be an exciting ride! 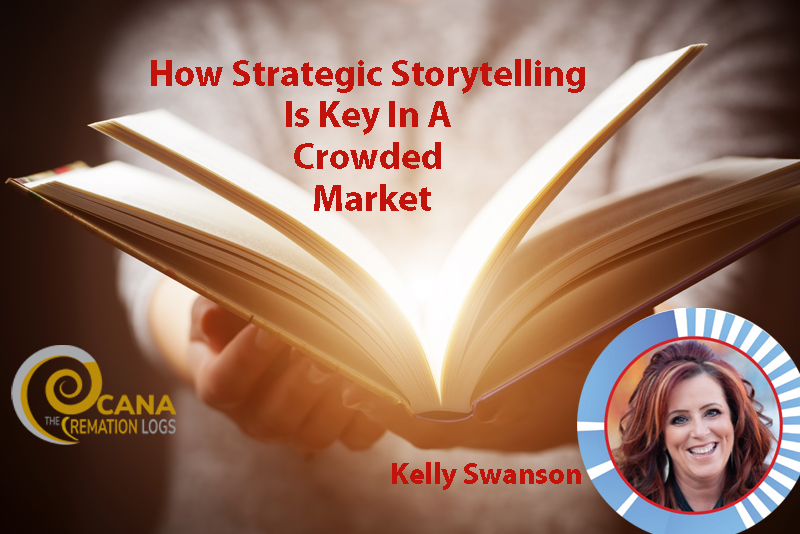 Join Kelly and CANA at the 2018 Cremation Symposium to learn how you can set your business and yourself apart with the power of storytelling. 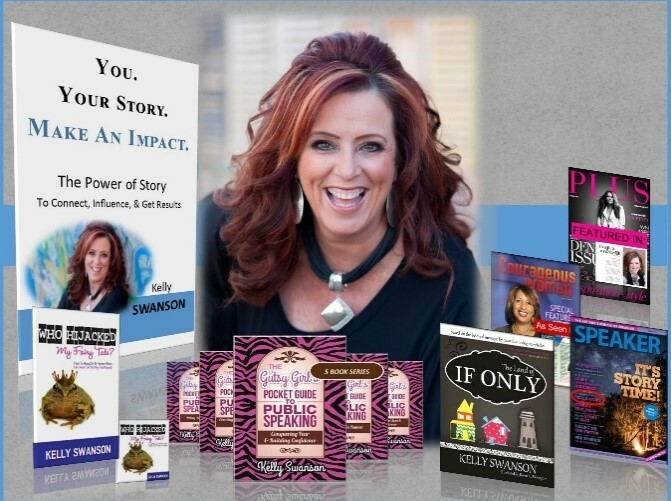 Register soon for your chance to be in the “hot seat” and develop your story live, onstage with Kelly Swanson! Sponsored by Batesville. Connect the Dots with us, February 6-8 at Paris Las Vegas at the 2018 Cremation Symposium. What do Canadians know that might benefit their colleagues across the border? In order to try and answer that question, The Cremationist contacted successful members from the three most populous provinces— Louis Savard (Quebec), Laurie Cole (Ontario), and Ryan McLane (British Columbia)—to ask them for their opinions on factors contributing to Canada’s higher cremation rate, how that rate has affected the way they do business, how they approach cremation and talk to cremation families, what their experience with direct cremation has been, and what advice they might give to a U.S. colleague. The impact of rising cremation rates began for Canada in the 1980s and 90s. Since then, we’ve learned to live with the high rate. Because we’ve been experiencing high cremation rates since the 90s, it’s not a big deal for us. It’s just our day-to-day operation. We are living with it. Back then, it changed everything we did. Celebrating the life of a loved one is the same. Cremation doesn’t mean people don’t want to make an investment. It’s not just disposal of the body and it doesn’t mean they don’t want to get together. There is the same need to celebrate the life of a loved one. 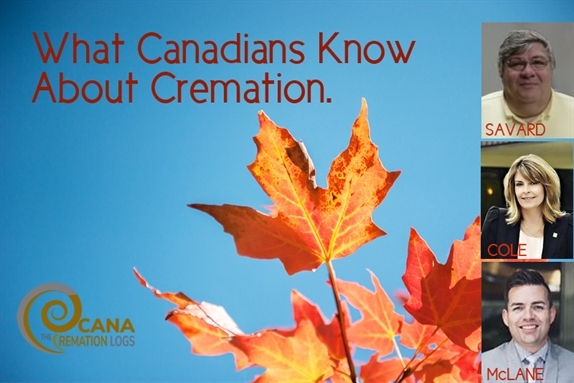 Today, cremation and burial in Canada are the same. Visitation in Quebec is the same. Celebration and services, people meeting and talking together to celebrate the life of a loved one. The cremation rate in the U.S. is going through what we went through 20-25 years ago. I work with an international company that serves the U.S. and Canada. The company only began adding catering services a few years ago in the U.S., but we started catering in Canada 20 years ago. It’s a big, big piece of the service we provide and adds a lot to our revenue. People sharing a glass of wine, being all together, having a eulogy at the same time as the reception. We need to adapt ourselves to what people want, because we have to create all kinds of ways to have a life celebration. We need to have an open mind. If each life is unique, each celebration is unique. If you have an open mind, you can do everything, listening closely and carefully and working with the family to celebrate a unique life. You cannot be trained for that—you have to be a person who is creative, working with families and listening attentively to build that honor. People want to celebrate life. The funeral home is not where they live, where they meet with their families, where they have fun. They want to celebrate a life where they are comfortable. With cremation we can do whatever we want. Not so much with a burial. Cremation has become a choice for many families, religious or not. It really is not a cost issue: people truly just want to choose cremation as part of the service instead of choosing traditional burial. With an onsite cemetery, we offer many options for memorialization for cremation burial. Some families do choose to keep the urn or scatter the cremated remains, but we also have a lot of heritage at Pinecrest, so many families do have the option of placing urns with family members who already rest at Pinecrest. That being said, even if there is no room in a family plot, families may still choose to purchase land for the urn burial based on the heritage affiliation as well. With cremation, families can also focus on more details and options for the service. They have more time to plan the event with us rather than with the more “traditional” type of service. They can turn their attention to items such as linen color, personalization of the photos, stationery, food and alcohol selections, and creating their own floral arrangements or music playlists and the like. A cremation family may choose a simple container or casket, but they tend to focus on the urn and possibly an urn vault. They don’t see the value in an ornate casket, but may find value with the urn, jewelry, an urn vault for mementos, the memorial cards, or the land/monument or niche. When a family says, “We just want cremation,” as service providers, we should not assume this means direct cremation. It oftentimes means that they want cremation and not traditional burial, but they still want some sort of gathering with food and beverages, a service, and a viewing to honor their loved one. Yes, 80% of our families choose cremation. But of that 80%, only 10% request a true direct cremation—and I always share that fact with colleagues in the industry. My advice is to communicate all the choices to a family, regardless if they say, “We just want cremation.” We are doing a disservice to our families if we do not show them all the options available, for some simply may not be aware of their choices and may see value in them once they know about them. I have been witnessing requests for direct cremation for 20 years now in British Columbia. I don’t think this is a U.S. phenomenon in any way. This direct cremation concept begins with an active increase in cremation requests as a whole. Funeral directors can never assume that they know what the family is thinking. The most difficult thing to overcome is the perception that the family wants nothing but a direct cremation. So many times the family doesn’t even know what they are asking for. Many request cremation and nothing else. But what does “nothing else” actually mean to them? How can the funeral director be more involved? Families want to keep it simple. But what is your definition of simple? I see a difference in the need for explanation to what is available to almost every cremation consumer. Many people who select cremation are not aware that they can still have a visitation, or still have a service and still have a cemetery plot. Once you start to explore the options with a family, they will want to create a personal service for their loved one. Many times this is independent of any mainstream religion, and oftentimes families have no affiliation with the local church. Over the years, it has been evident that the cremation consumer is looking for value. That does not mean that the consumer is cheap but rather that they are focused on purchasing items or services that are meaningful to them. Personalization is very important, as well as efficiency. As time goes on, requests for embalming have been replaced with requests for catering. We’ve also had to adapt and create new traditions for the families that are not affiliated with organized religion and who want chapel services with or without viewings. Funeral directors have to educate families. The cremation concept is not a new concept but people just don’t know realize all the options they can have for arrangements. Families need to make educated decisions with a funeral director. As traditions evolve, we as funeral professionals need to take the lead to educate and to continue to help create meaningful events for families to say goodbye to their loved ones. This post has been excerpted from Vol. 53, No. 4 Issue of The Cremationist and edited for length. Members can read the full version and insights on cremation traditions around the world in the original issue. Louis Savard, Service Corporation International’s Market Director for Quebec and Vice President of SCI Canada, entered funeral service in 1985. He was the National Sales Director for Atlas Casket and worked for three years at Lepine Cloutier Funeral Home as a sales manager in preneed before moving on to SCI in 1992, where he was involved in corporate development. Laurie Cole, President and Owner of Cole Funeral Services and Secretary-Treasurer/Director of Operations for Pinecrest Remembrance Services, is a fourth-generation descendant of John Cole, founder of the original Pinecrest Remembrance Services, established in 1924. In addition to her tireless service to Ottawa through the Rotary Club of Ottawa Kanata Sunrise, a supporter of the Live/Work/Play program, she has also served on the Board of Directors of the Cremation Association of North America. A mother of two, Laurie is a country girl at heart and has even earned a college diploma as a veterinary technologist. Ryan McLane is the current Market Manager for Vancouver Island with Service Corporation International. He has worked both in Vancouver and on Vancouver Island for over 20 years. He is also a Past President of the British Columbia Funeral Association. 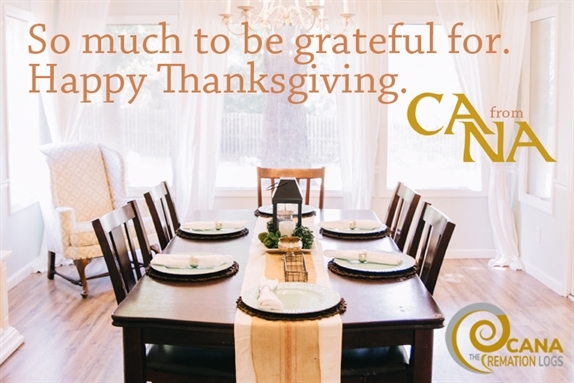 In the spirit of the holiday, CANA staff took time to reflect on what our work makes us thankful for. To a one, the answer was simple. We’re grateful for our members. You have served us in our times of grief, throughout history, and reliably with compassion and respect. Thank you. Thank you for working the holidays and weekends. Thank you for the labor you perform that goes noticed and unnoticed. So this post shares the many ways in which each of us are thankful for you. Happy holidays from the staff of CANA. I am grateful for CANA’s supplier members and their creative and sensitive development of products that have meaning for grieving families. Part of my job includes reviewing the ads and editing the articles that are published in The Cremationist and taking photos of the exhibits at CANA’s conventions and symposiums. In the course of these duties, I’ve been able to see many examples of designs that have been thoughtfully devised to personalize and contemporize memorialization. This first-hand exposure recently brought comfort to a circle of loved ones and old pals when I attended a celebration of life for my best friend, who died this past spring. Dottie and I spent our childhood summers together on the shores of Lake Michigan and she raised her own family there. During the cremation arrangement conference with Dottie’s daughter, Ali, I remembered I had seen a handcrafted biodegradable urn that perfectly suited my friend’s personality and lifestyle. The funeral director was able to show it to us via an online catalog. Ali agreed that it was just what her mother would have wanted. This October, the people gathered for a night of storytelling and remembrance. We were each able to write a farewell message on the urn that contained a portion of my friend’s cremated remains. Many of them remarked on the pleasure it gave them to send her off in this way. The next morning, a few of us headed out to the beach where Dottie and I had spent so many nights laughing and counting the stars. Ali placed the urn in the water and we said goodbye. In the two short years since joining CANA I have experienced two deaths in my family. And both times, CANA members were an integral part of getting me and my family through it. The first death came three months into my job when my 35-year-old cousin died from a heart attack caused by years of heroine abuse. My aunt had to arrange for his cremation in Colorado from her home in Arizona. Being brand new to the industry, I had no idea how to navigate making arrangements from a distance and was extremely grateful for the advice from CANA member and board member Bob Boetticher, Jr. He even called to check on me later that day, showing a compassion that I soon learned is a key characteristic of funeral directors in this industry. Sadly, a year and a half later, that same aunt’s husband, my uncle Marty, finally lost his battle with leukemia. I was the first one she called for help, and I immediately turned to CANA member Elisa Krcilek from Mountain View Funeral Home in Mesa, AZ. Elisa personally came to my aunt’s house because she’d refused to set foot in the funeral home. And when my aunt started to price shop and look at someone with a less-than-stellar reputation, Elisa sold her on the peace of mind over low-cost providers. Elisa kept in constant contact with my aunt and myself, letting us know as each step in the process was complete. Eventually, my aunt did set foot in the funeral home and purchased a beautiful urn to keep at home, several keepsake urns for her husband’s siblings, and a piece of Madelyn Co jewelry that she proudly showed me the next time I saw her. She loves being able to have part of him with her always. Knowing my aunt, I am convinced that she would never have bought the keepsake urns or the jewelry if she hadn’t gone to the funeral home, which she would never have done if Elisa had not shown her the kindness and compassion that comes so naturally to the industry as a whole and Elisa in particular. My aunt even recommended Elisa and Mountain View to a friend a few months later and plans to buy another piece of jewelry for some of her son’s remains. As I travel throughout the country to CANA and other industry events, I fall more in love with the people in this industry. You are some of the kindest, smartest, funniest and most compassionate people I have ever met, and I am so thankful to be able to work with you everyday when I come to work. Thank you for being you, and doing what you do. You are my heroes. We get more calls from consumers than I think even our members know. Sometimes they just attended a preneed program and want to know more about your company. Other times, they are confused or scared by a process they don’t understand but are forced to contemplate. The worst times, they are grieving for a loved one just on the other side of the door or inside of an urn sitting on their mantel. On a personal level, I consider myself lucky to have never been in their shoes. My only interaction with the industry before I was hired two years ago was attending services for elderly relatives for whom “it was time” and had “gone to a better place.” But professionally, this meant I had a steep learning curve to be able to understand the industry and address these calls. In the past two years, I’ve spoken to countless members who welcomed my questions and responded with patience and warmth. Thank you. More than that, I am grateful that when I recommend a CANA member to these callers, I know you will respond with the same patience and warmth you gave me. That any caller described above will be heard and served with the utmost care and respect because they called a CANA member. I’m thankful that I can tell the caller with certainty that our members can help them at any part of the process and that they will find support during this difficult time with you. I spent part of the week before Thanksgiving on the road for CANA in Houston, TX. I staffed a COCP training and spent a fruitful day at the National Museum of Funeral History working on content for the History of Cremation Exhibit scheduled to debut in September 2018. I traveled home marveling about the legacy and impact former and current CANA members have made and are making. I am so grateful for the many leadership roles CANA leaders have played over the years. From shaping the first laws forming the cremation industry to inventing much of the technology we still use today, CANA members did it. Often facing opposition from competing funeral homes or the queasy media, CANA members prevailed and promoted their cremation vision and services to their communities. The progressive and entrepreneurial spirit that inspired CANA founders to establish the association in 1913 and convene for the first convention in 1918 prevails today. In this Thanksgiving season, I am grateful for each of you, your quest for innovation, transformative service and advancement. You work hard, and this holiday season I hope you take time to enjoy the many fruits of your labors and reflect on the many things for which you are grateful. I have only been working with CANA for just under a year, and during that time I have learned more than I could ever have imagined. My transition into a completely new industry has been met with new challenges every day. I am thankful not only to my coworkers who answer every single one of my questions in stride, but also to the fantastic members of CANA. It has been the members of CANA who have shown me a new appreciation for this industry. Your dedication, hard work, and compassion for helping others during the hardest of times is truly inspiring. Thank you so much for your kind heartedness! Recently, Michigan consumer media was alarmed to learn that a funeral home had stored cremated remains in a storage locker. Worried about nefarious dealings, reporters asked if this indicated criminal activity. Asked for comment, the Michigan Funeral Directors Association assured that possession and storage of unclaimed cremated remains is common. Indeed, the new owners of the funeral home had followed best practices by identifying the cremated remains and attempting to find families. The previous owner encountered what many do – the families had abandoned the cremated remains at the funeral home. Under Michigan law, cremated remains only need to be stored for six months before they can be respectfully placed, but the staff at many funeral homes balk at taking further action. They are troubled by the idea that cremated remains could be irrevocably separated from loved ones. A recent issue of The Cremationist discussed this very topic. The answer, simply, is to take proactive steps to emphasize the value of permanent placement in all discussions with families and to encourage them to make a deliberate decision. For many, cremation is valued because it adds time and flexibility to make these important decisions, so they tend to endlessly defer them. Three industry professionals offered their recommendations for helping families make a choice that is right for them and appropriate for the storage space available in their funeral home. The question I pose to families choosing cremation is, “what would you do for a final decision if you hadn't selected cremation?” Now ultimate determinations must be considered. Family Heritage Plot: Where are your grandparents or great-grandparents buried? In a large family lot back home? I am sure that there is space for an urn to reunite family. Veterans Cemeteries: When an employee's husband died and was cremated, I suggested he be placed in a local national cemetery, taking advantage of this no cost benefit he had earned. She mentioned his mother's urn needed final placement somewhere. I inquired whether her father-in-law was a veteran. He was, an honorable discharge and marriage certificate were produced and, even though the father-in-law was interred in another state, she was eligible. Son and mother were placed in side by side niches without additional cost to the family. Other more contemporary placements such as niches along a cemetery walkway or base of a statue or even being part of a reef placed in the ocean. Creative thinking can solve this indecision. I have a very dear friend whose mother was dying. Not understanding what I did for a living, but knowing it was in the funeral profession, she called me to help her plan her mother’s disposition. She wanted her mother’s body to be cremated. We went through the process of planning the funeral service. Many consumers don’t care what happens to the cremated remains of their loved one’s body. There are added decisions they don’t want to deal with. These cremated remains can be converted into diamonds or potting soil but the consumer doesn’t want to make that decision. One technique that I have found to be successful involves building out the cremation authorization to include the return of the cremated remains. The family is told that they can either pick-up the cremated remains from the funeral home or the funeral home can deliver the cremated remains to the appointed family member. The key points are the date range for the retrieval. We acquired firm a few years ago, and during our due diligence, discovered a cupboard containing 16 cremated remains that were unclaimed. They had two crypts at a local cemetery into which the unclaimed urns were entombed, reopened as needed to add others. While this is an effective way of placing unclaimed urns in an accessible place, it is costly and in my opinion, not an option one wishes to exercise! Winter time in Wisconsin can be brutal. Frost can go as deep as 5 feet, with 25 inches of snow on the surface. Families who desire a service in January many times wish to postpone any committal or military honors until spring. They also feel uncomfortable about keeping their loved ones cremated remains at home. It occurred to me some time ago that we needed to create an option for those at-need families who were not sure of what to do with the cremated remains. Our firm developed an “Urn Repository” which holds cremated remains on agreement with the family regarding final placement, how long the urn will remain at our firm, and how we will contact the family regarding a service at a later date. We then track aging, just like receivables, and send reminders as well as phone calls. It is a system that has proven effective! Lending your company’s authority and your personal experience guides families to made decisions to honor their loved ones in a meaningful way. Working together to honor families’ wishes and ensure the deceased is properly cared for is paramount to CANA’s Code of Cremation Practice. It’s our duty as a service industry to find balance and peace for our communities. Members can read the full article with complete introduction and additional solutions from Chris Farmer of The Farmer Firm in Vol. 52, No. 2 Issue of The Cremationist. Not a member? Consider joining your business to access this and all archives of The Cremationist plus resources and statistics to help you find solutions for all aspects of your business -- only $470. Steven Palmer entered funeral service in 1971. A funeral director in Massachusetts and California, he purchased the Westcott Funeral Homes in Arizona in 1997. He is a past president of the Arizona Funeral Directors Association and current National Funeral Directors Association Policy Board Representative for Arizona. He has been a columnist for the Nomis Funeral & Cemetery News (former YB News) since 1996 and has contributed to other funeral service publications. Dan Isard, MSFS, is a writer, educator, and management and financial consultant. He is the president of The Foresight Companies LLC, a Phoenix-based business and management consulting firm specializing in mergers and acquisitions, valuations, accounting, financing HR services, and family surveys. He can be reached at 800-426-0165 or danisard@f4sight.com. Connect with Isard and The Foresight Companies by following them on Twitter at @f4sight or on Facebook. 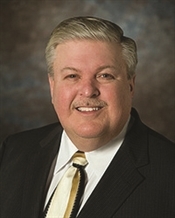 Mark Zimmer, President of Zimmer Funeral Homes, Inc., attended Loras College in Dubuque, Iowa, and graduated from Worsham College of Mortuary Science in Chicago in 1977. Mark moved to the Sheboygan area in 1983 after purchasing the former Ahrens Funeral Home in Howards Grove. In 1996, he acquired the former Gerend-Habermann Funeral Home in Sheboygan. In 2003, work was completed on the new 8500-sq.-ft. Westview Funeral & Cremation Care Center. Mark is a past president of the Wisconsin Funeral Directors Association and a past president of the Lakeshore Funeral Directors Association.